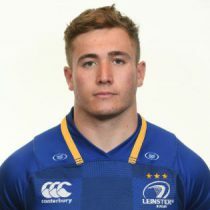 From the bottom of the ruck: Jordan Larmour is this season's Gary Ringrose! Well, Leinster again made a mockery of my predictions with a fantastic away win over Ulster, their first win there for a few years. They got a 15 point win, while butchering two tries, so it wasn't even as close it looked. Jordan Larmour scored an astonishing try - he's this years Gary Ringrose! Overall, Leinster's back play is out of the top draw, the running lines, the interpassing, and is hugely hard to defend against. How was the dummy from O'Brien? And the forwards are putting in the hard yards to let the backs shine. Ulster are struggling - their lineout was disaster, their scrum was iffy, and their handling in general wasn't great. They look like a side with a lack of confidence. On Friday night, Connacht got a valuable home win over Munster. Conway's red card was the defining moment, but it was a closely fought match that could have gone either way up until then anyway. Connacht are just starting to string a bit of form together - O'Halloran is playing well, as is Marmion, and great to see Adeolokan back too. Butler is brilliant - outstanding. Munster have fantastic solid forward play, but would look so much better with more creative back play. Hanrahan was a mixed bag - fumbles and mistakes, but bringing runners on to him too. He needs a good run in the team to bring his confidence along.